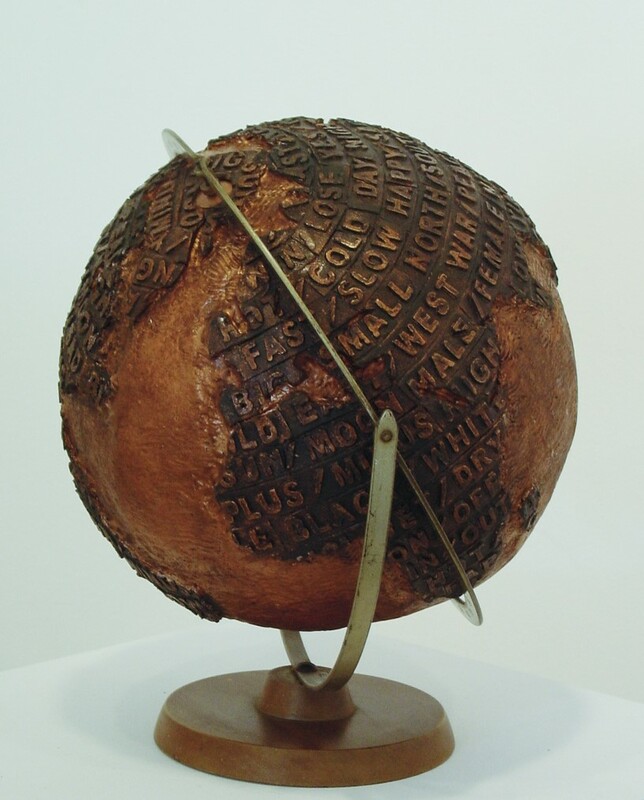 Materials: Mixed Media Dimensions (mm): 380H X 380 DIAMETER Comments: Global Core represents choices in our world. Choices that we all have on a local level that can have global ramifications. The "complementary" word pairings we utilize in everyday language illustrates our decision making choices. Materials: CERAMIC Dimensions (mm): 380H X 380 DIAMETER EACH Comments: Core I represents our inner emotions – the “core of our being”. It is the metaphorical storage vessel of each individual’s inner strength and resilience for life. Core III introduces the role of fate in our lives. It has seals exhibiting 9 trigrams; each trigram represents an affirmative life message from the I-Ching. 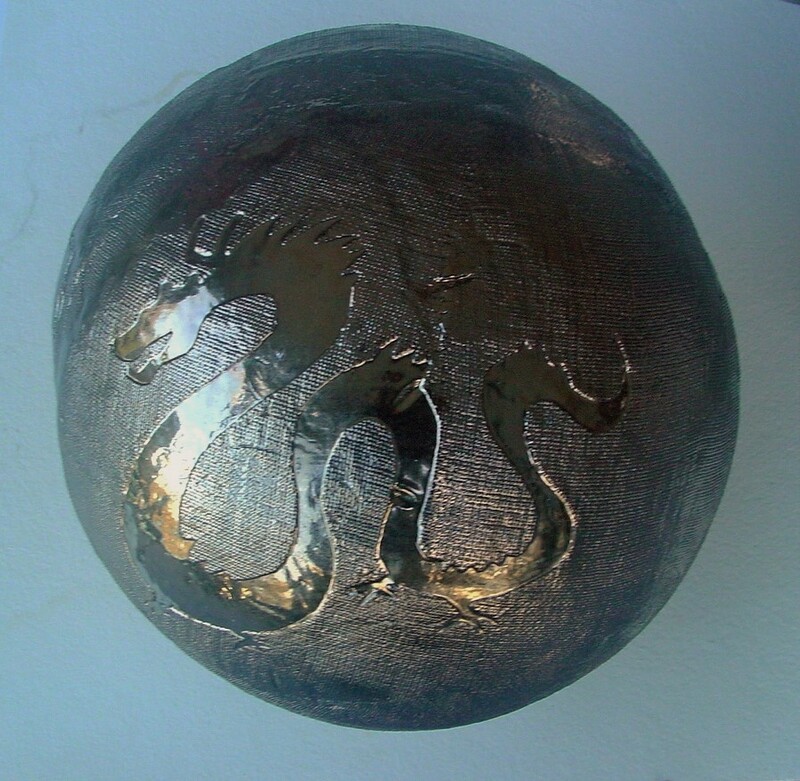 Core V has the double dragon image, a particularly auspicious visual that also represents strength and good fortune. 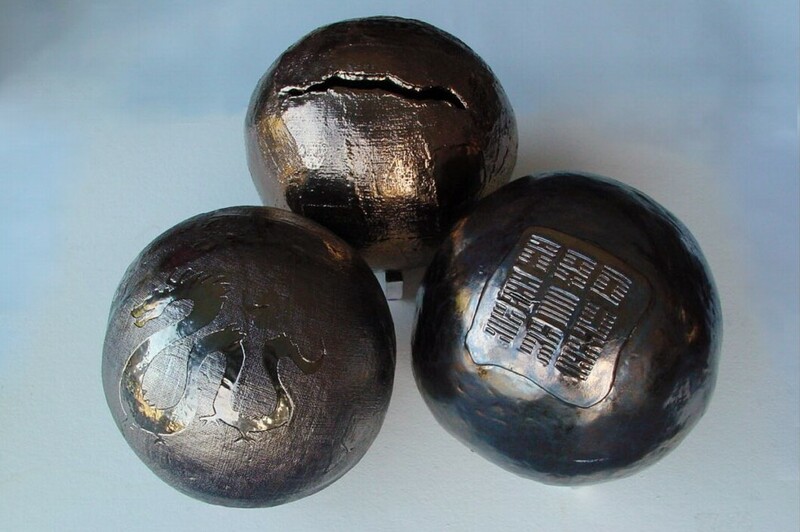 The three “Core” sculptures together, make a unified and positive statement about life. Materials: CERAMIC Dimensions (mm): 380H x 380W X 380D Comments: This is one of the “Core” series of sculptures where the “core” represents the inner being. 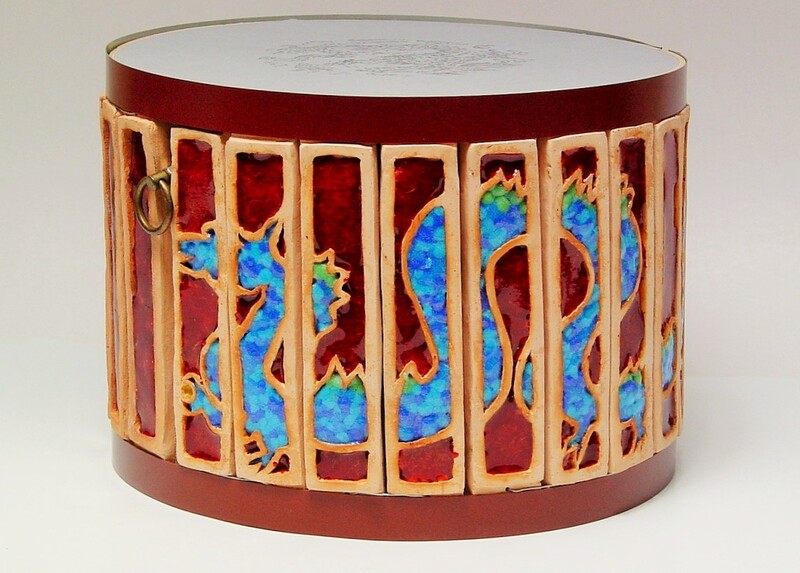 The dragon image represents strength and good fortune.